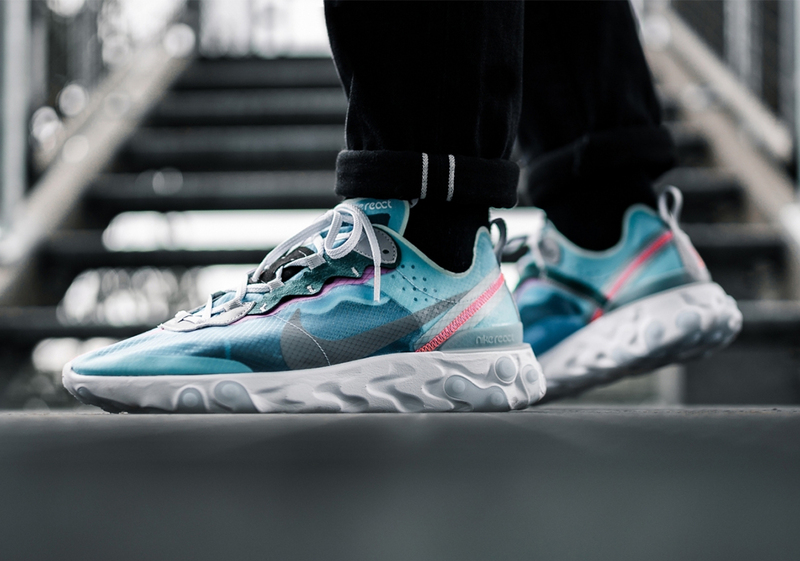 In the midst of NBA All-Star Weekend, Nike will be releasing a brand new colorway of the React Element 87. 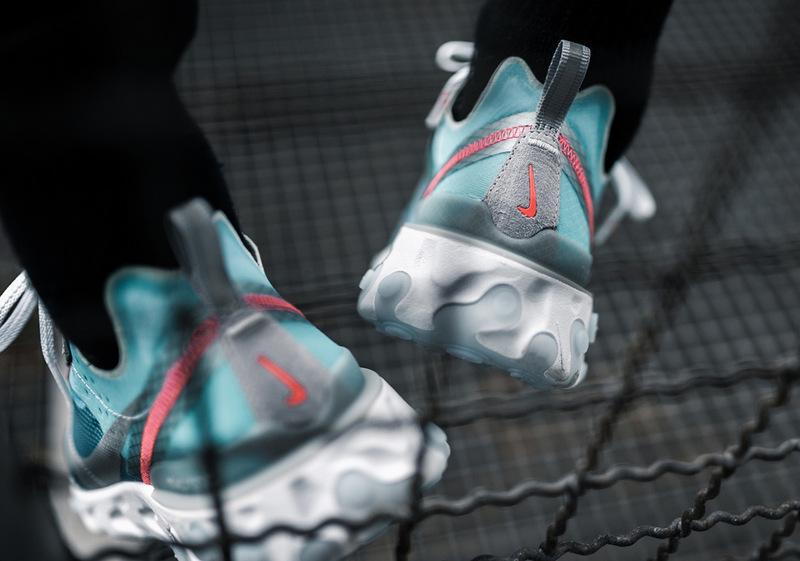 Upon its initial release in the Summer of 2018, Nike’s React Element 87 became an instant classic. It was highly regarded as one of the Swoosh brand’s most unique creations in recent memory, boasting cork insoles, a semi-translucent TPE upper with immense color blocking capabilities, an on-trend technical aesthetic, all while laying the ground work for Nike’s disruptive ISPA initiative. While the original Sail and Black/White colors have still received the most acclaim, each and every iteration since then has been met with formidable fanfare, including the upcoming “Royal Tint” variety set to release in the middle of 2019’s All-Star Weekend festivities. 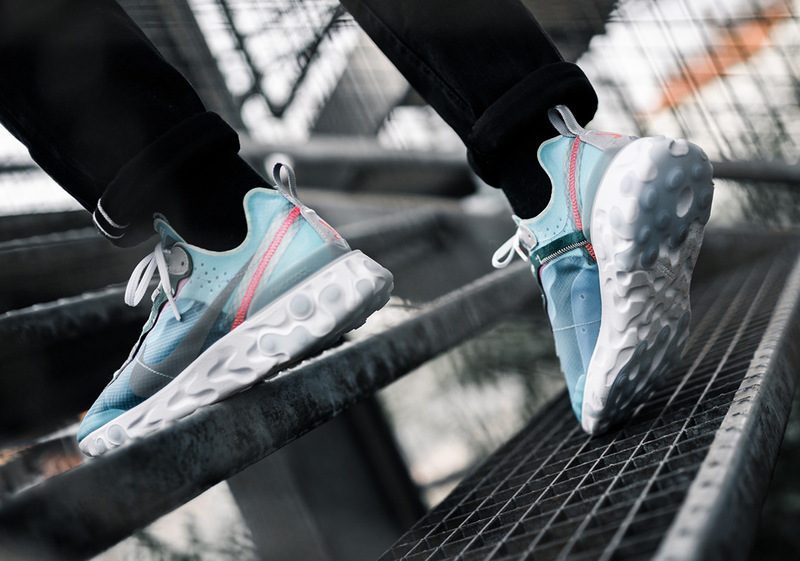 Boasting a clear “South Beach”-like vibe, this Element 87 combines flashes of blue and pink with Wolf Grey and White ushered in for contrast, having eager consumers yearning for the warm spring and summer months ahead. Units are expected to unload around the globe on February 15th, so enjoy another official look as well as a detailed store list below to help you out on drop day.